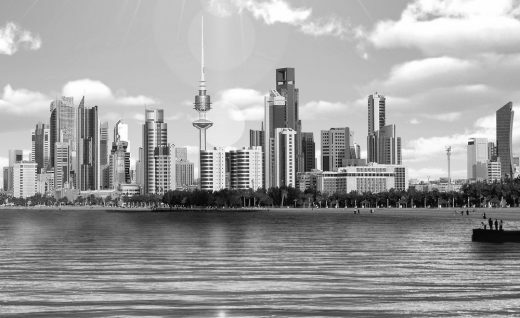 Global architecture and design firm Perkins+Will has been selected by Kuwait Municipality to devise the country’s Fourth Structural Plan 2040, a national masterplan that aims to transform Kuwait into a commercial and financial hub. Drawing from its worldwide urban planning experience, Perkins+Will will be responsible for the design and consultancy alongside Dar. At a signing ceremony held in November, His Highness the Prime Minister Sheikh Jaber Al Mubarak Al Hamad Al Sabah praised the new plan and how it responds to current population growth in Kuwait, while Head of Structural Planning at the Kuwait Municipality, Saad Al-Muhilbi spoke of it as the country’s urban constitution and a roadmap for future development projects. David Green, Principal at Perkins+Will, and Beshara Wakim, Director of Operations of Dar in Kuwait, signed the contract on behalf of both firms. Kuwait is one of the first countries within the Gulf Cooperation Council (GCC) to have adopted these structural plans, starting from 1952 and amounting to three in total. In a region that has shifted dramatically over this period of time, the latest plan builds on 64 years of momentum to create a system for how the country should operate in the future, focusing on the economy and international business.